Set in the most beautiful pocket of Burnley (as we drove up I decided that I need to move here!) the space itself is like nothing I’ve seen before. Sure it’s bright and airy like so many others, but there’s something different, there’s a calmness to this space that hasn’t been matched elsewhere. It could be the native flowers or the stunning gold cutlery, the comfy booths or swing chairs, they’ve managed to create a fresh space that encourages you to relax and engage in a healthier lifestyle. 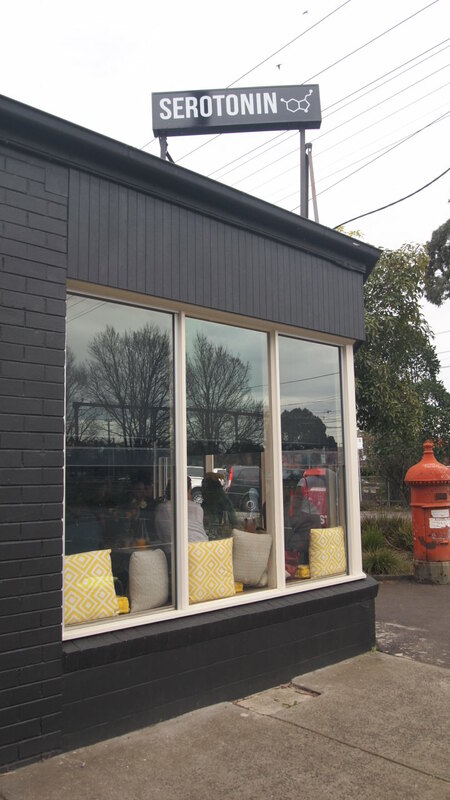 The calmness of this space feeds directly from their ethos of clean eating, exercise and relaxation, and apparently most of Melbourne is jumping on the bandwagon. 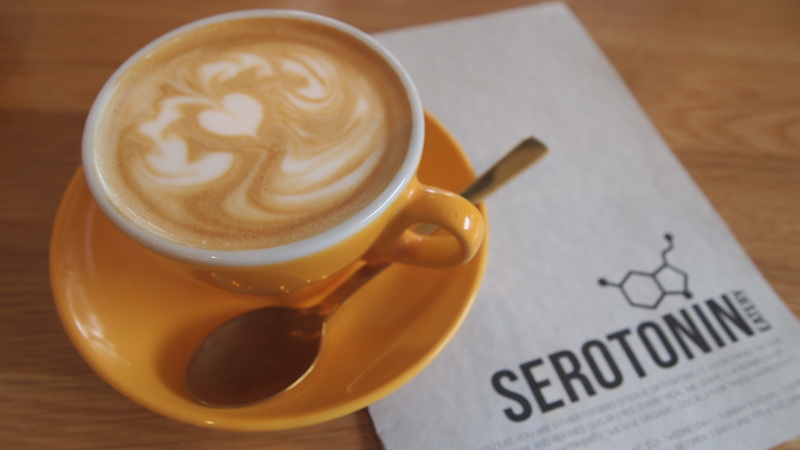 The team at Serotonin have capitalised on the growing clean eating movement by filling a notable gap in the market and offering Melbournians guilt free, but delicious meal options. Its popularity is most evident on the weekends, where its quite common to have to wait up to 40mins for a table (happened to me twice, and given I refuse to wait that long anywhere, we left and tried again a different time), but they make your wait as comfortable as possible, lining the sidewalk outside with heaps of little stools, and providing a number of footballs to kick around to pass the time. 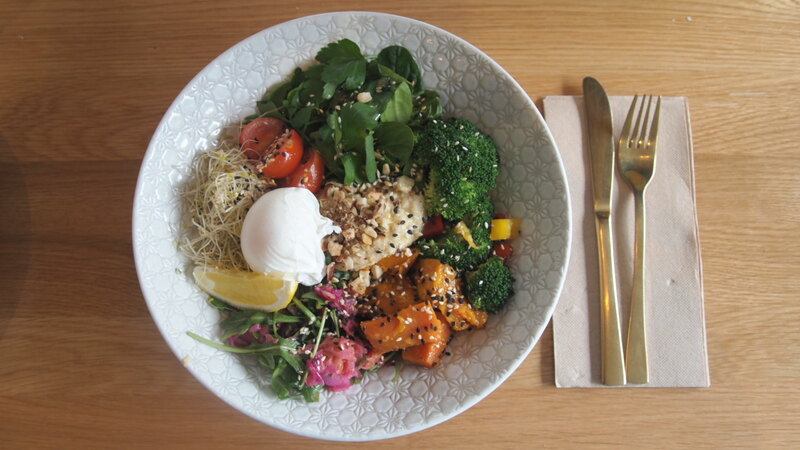 The menu itself is quite impressive as they have managed to create a stack of healthy dishes that are even appealing to the not so health conscious (aka me. I do healthy at home, but go for sugar and full fat when out). 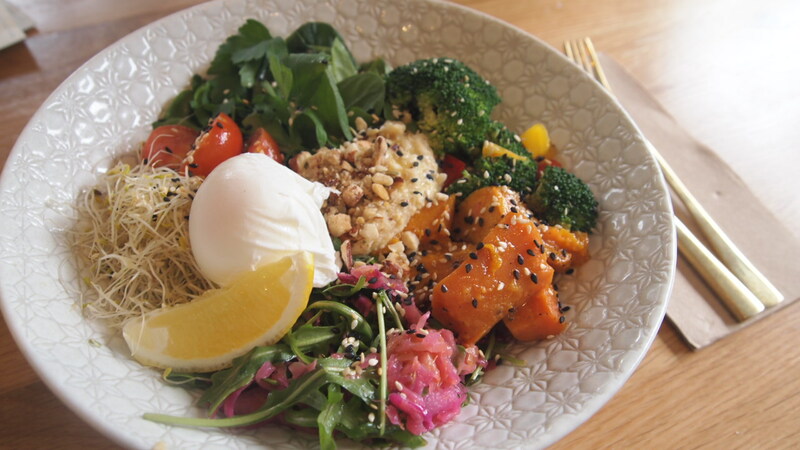 The Nutrition Bomb is one of their signature dish and just as the name suggests is packed full of vegetables like broccoli, alkalising greens, sprouts, cold roast veggies, home made hommus, plus a poached egg and an array different nuts and seeds. The serving size was really generous, but once consumed didn’t leave my sister feeling heavy, quite the opposite, she said she was left feeling light and clean. Her only criticism was that it was a bit light on for salt, which is to be expected from a super healthy dish, but she just felt it needed a bit more punch. The olive and pumpkin bruscetta on the other hand was incredibly flavoursome and represents a great alternative to traditional avo and goats cheese on toast. 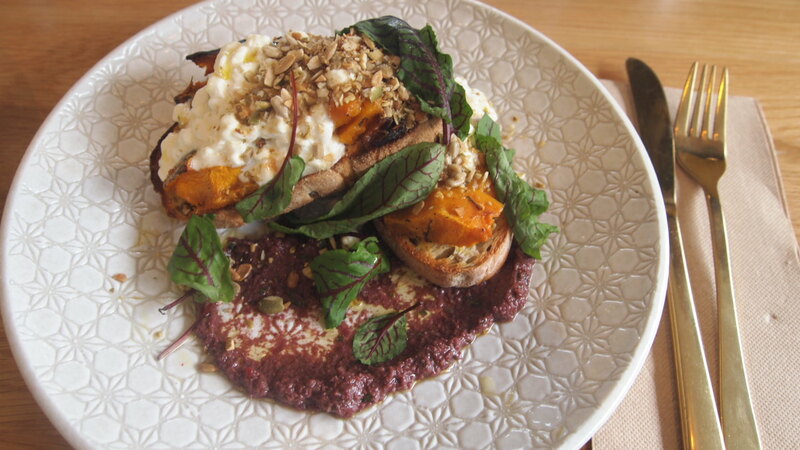 The roasted pumpkin was served skin on and smashed on top of two slices of crusty olive bread and tepanade, then topped with ricotta and some mixed seeds and nuts. It was a perfectly balanced dish as the bitterness of tepanade offset the sweetness of the pumpkin, whose softness was complemented by the crunchiness in the seeds and nuts. 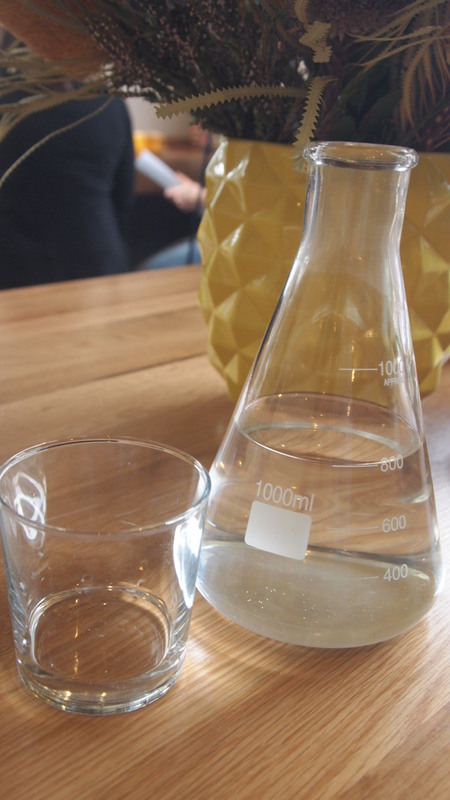 I really enjoyed it, so much so I was tempted to order a second serve. It must be said, my visit was a bit tainted as I had my little man in tow. Serotonin have attempted to cater for the littlies with the addition of a kids menu, however they only had one highchair on offer which was being used by another family, so I had to keep my wriggling child on my knee (to their credit, they did bring over a normal chair for him, but there was no way an 18 month old was going to stay on it). Any parent with a small child knows this is a recipe for disaster and disaster it was! Our table looked like a bomb had hit it, the kid had thrown stuff everywhere and it took me a good half hour to eat a quarter of my meal. So unfortunately there was nothing relaxing about my experience and when I return, which I’m guaranteed to do, it’ll definitely be an adults only outing. It’s very close to me and I’ve been over for tea and coffee. The owner and staff are great but I haven’t been able to convince the work team to give it a go. Maybe this week?! It’s worth checking out, although I definitely wouldn’t wait 40mins for a table!